The hand-laced moccasin construction of this slip-on features soft premium leather and padded lining. Gore panels on each side create a snug and flexible fit. A removable CoolSTEP™ footbed features an anti-friction top which inhibits heat to help keep your feet dry and comfortable all day. 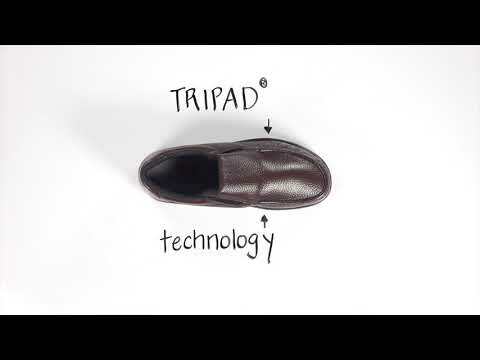 With TRIPAD® Technology and a shock-absorbing sole, your feet are supported for all-day wear. Designed to fit and follow the shape of your foot on an exclusive SAS Foot-Shape® last. Our unique genuine moccasin construction wraps soft supple leather completely around your foot and works in unison with the SAS Tripad® Technology to provide long-lasting, all-day comfort. SAS CoolStep™ Foot Bed: A removable foot bed designed to keep the foot dry and comfortable all day long. 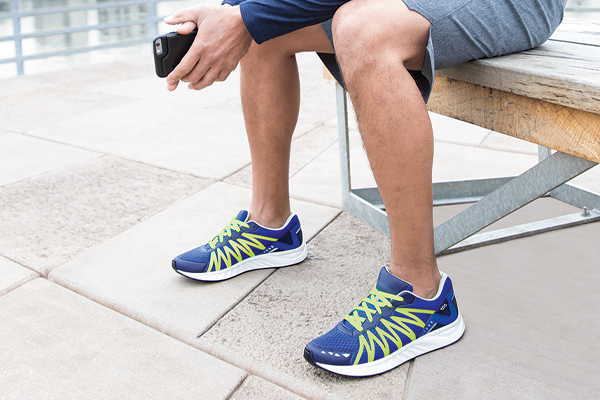 The anti-friction top cover inhibits heat providing a cooler surface underfoot. The bottom layer wicks away moisture while cushioning each step. SAS CoolStep™ foot beds are anti-bacterial, anti-fungal and washable for a healthy foot environment. Foot-Shape Last: Developed and crafted by the SAS Shoemakers to follow the natural shape of your foot. Provides all-day comfort with added-depth for your toes. EZ Gore™: This unique gore system will properly hold the foot securely in place with no biting across the top of the foot when stationary or moving.